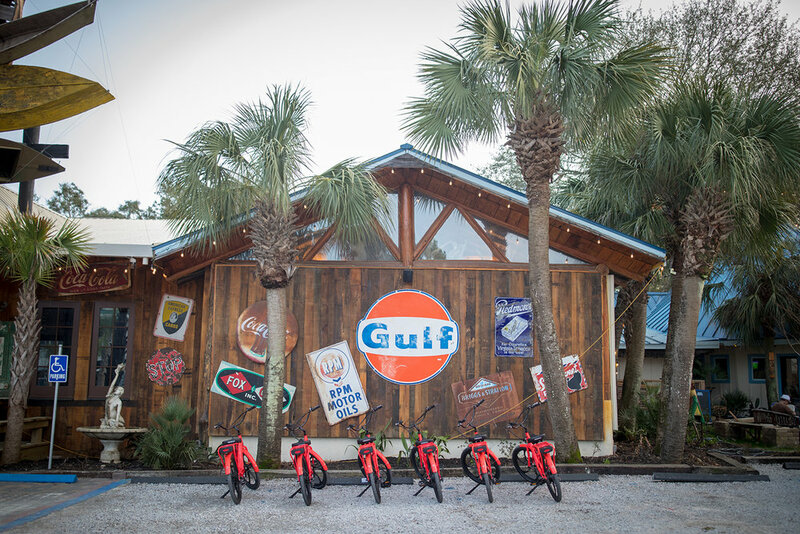 Our expertly guided electric bike tours flow through South Walton ‘charging’ the 30A area with the most fun you'll have on two wheels. PEDAL OR NOT - A FUN DAY IN SOUTH WALTON AWAITS! All Eventure Tours are on Pedego Electric Bikes. That means you are on a bike that offers pedal assist and a throttle! 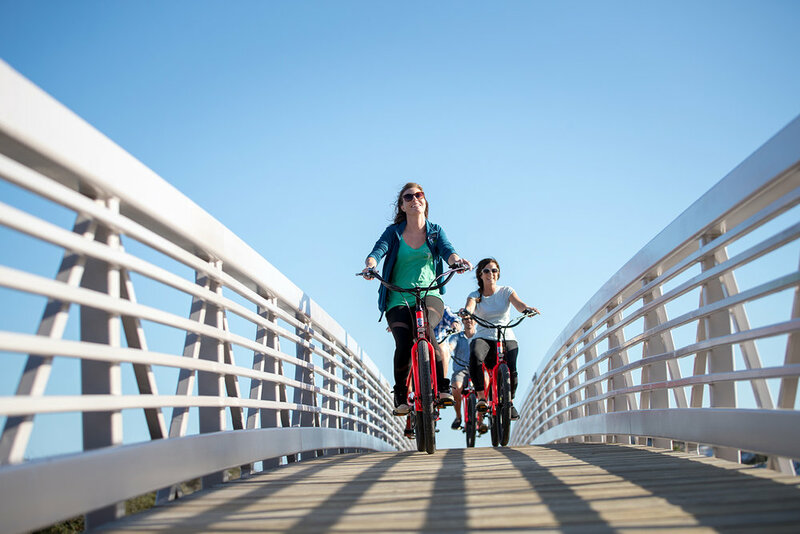 You can get to almost anywhere in South Walton by bike and now you don't have to even break a sweat! Pedegoing takes the too far and too hot out of your bike ride. We're "E"venture for a reason! 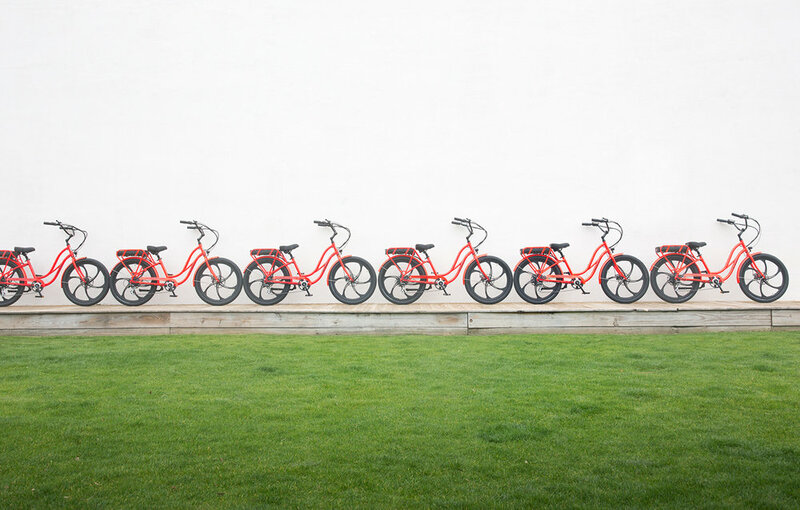 You're on an adventure filled with "e"lectric bikes that "e"qualize your group so that "e"veryone can "e"njoy! See the sights, hear the sounds - allow all your senses to be invoked…all while traveling on a bike that you never get too tired on! Whether your favorite foods are propelled by fins or by feet, we have an array of culinary delights from our areas top restaurants. Each stop features food samples paired with small “flights” of beers and wines. We have an myriad of talented artists and photographers within pedaling distance here in South Walton and we can't wait to introduce you to a few of our favorite creators on and off the path. 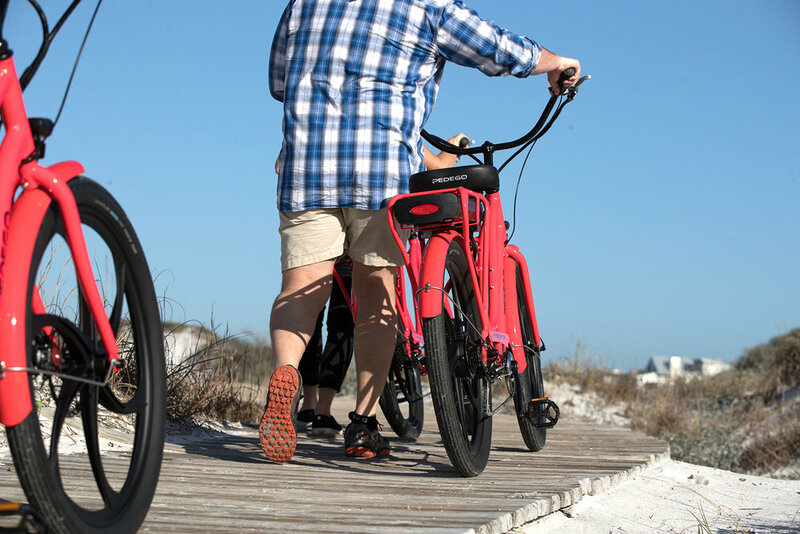 Also known as the GRAYTest bike ride, ever - the Grayton Beach Bike Tour takes you to the local's favorite beach. This little slice of heaven is rich in natural beauty and history. This historic must-see South Walton site features a beloved 19th century mansion surrounded by ornamental gardens, heritage roses and numerous large, old southern live oak trees. Most of us travel to 30A and South Walton area to reconnect with our loved ones, why not experience it the same way … together. Great for family reunions, bachelorette parties, and corporate/team building events. Let us show you South Walton in a way you’ll remember for decades. DON'T MISS A THING, FOLLOW @EVENTURETOURCO! 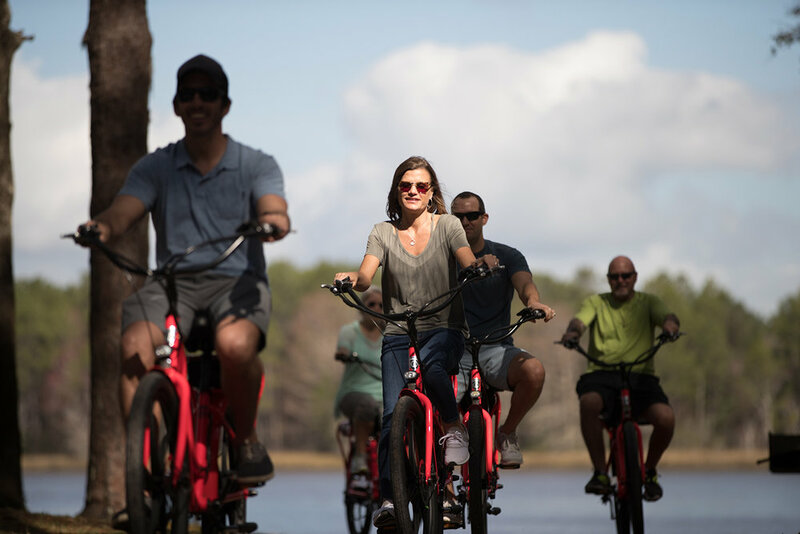 Please note: Just like a hotel room or airline ticket, bike tours in South Walton are in high demand days such as Saturdays and holiday weekends may be slightly higher than weekdays or non-peak days. At Eventure Tour Co. we hire highly-trained guides who are focused on worrying about any issues or decisions that need to be made with our tours—so you don’t have to. So, when it comes to making a call about the weather—our guides are just that, highly-trained to make the decision to call it or roll with it. If the forecast calls for a “rain on our parade” our guides will make the call. Your safety is of the utmost importance. We will provide you with a “rain check” to get you on a subsequent tour (based on availability) or a full refund. Why would you want to cancel the fun train and halt the best time you’ll spend on a bicycle as an adult? We may never know, but If you want a full refund, give our fun-loving crew a 48-hour heads up. Write us an email, a letter, sing us a song, create a puppet show, or just simply call us (850-598-3884). We’ll take WHATEVER, as long as it’s documented within 48 hours before your tour starts. Our number one priority for all our tours is FUN. However to allow EVERYONE to have fun, SAFETY is of the utmost importance. When booking your tour, it is understood that everyone signing up for the tour can confidently ride a bicycle. So it is required that everyone pass the “wobble test” before we depart for our cruises. If our guides feel that you are about to harm yourself, or any other member of the tour, we must prohibit you from riding on the tour and you will NOT be issued a refund. 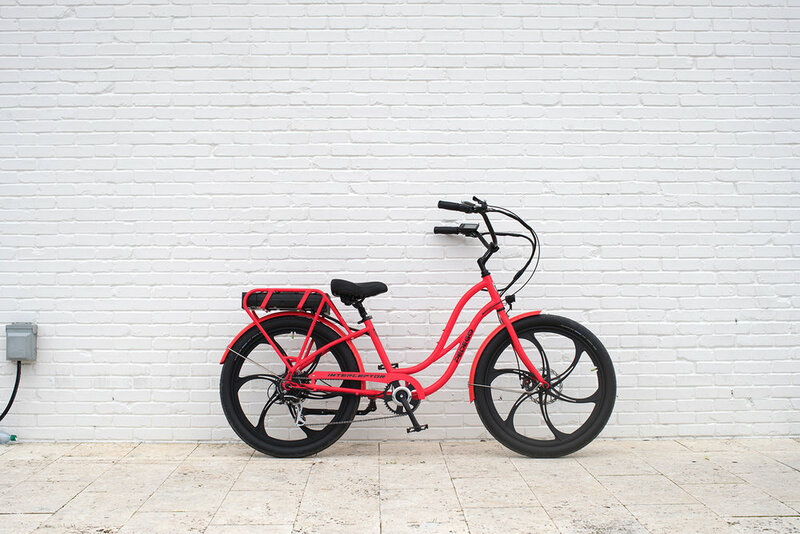 If you are unsure of your capabilities (because it’s been a while) we would be MORE than happy to set you up with our partner store and allow you some private time to try an electric bicycle at no charge to bolster your confidence!